Questions about Fairmont Designs 124-V48? 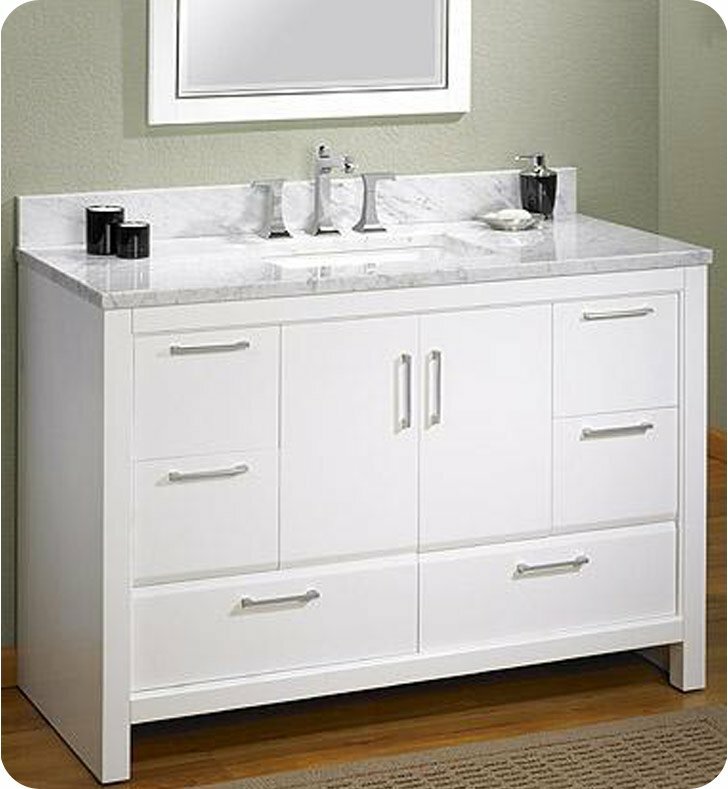 Belleair Beach takes the iconic white vanity in a fresh, contemporary direction. Sophistication flows forth in beautifully sculpted sinks; to-the-floor side panels; and bar shaped hardware. Revving up the tempo are vanity tops in your choice of ceramic, thick quartz, or granite/marble stone. Cabinets, which range from 21-48 inches, can be expanded to 60 or 72 inches with a 12-inch drawer bank and double bowls — flexible enough for powder room or master suite. Vanity: W 48 x D 21 1/2 x H 34 1/2"